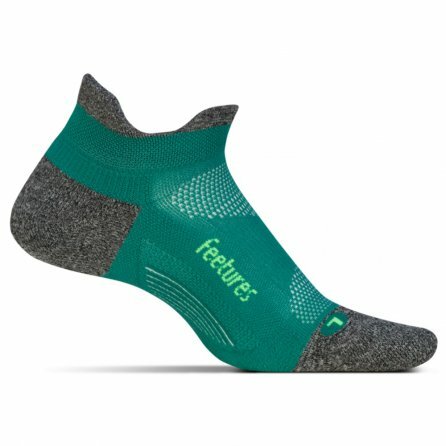 The Feetures Elite Light Cushion sock is the perfect balance between performance and comfort. Offering runners anatomical design options, these socks fit like a glove. Blending compression with padding, you get the best of both worlds and enjoy a supportive fit that won't have you sweating. Also, the low profile on the sock offers a sleek design and prevents unsightly runner's tans. Sock-Lock Technology creates a comfortable fit with added compression around the more sensitive areas of the foot. Light cushioning offers support without creating excess heat on summer days.